Here at Klimabolaget, we have always had one foot firmly in Nordic homes. This gives us the driving force for everything we do, and our understanding of the needs of the market also enables us to offer better products. We have extensive experience of providing and developing functional cleaning products for the home and our extensive contact network of manufacturers covers 15 countries. This allows us to be flexible in relation to our own product development or that of our customers. We carry thousands of products in stock and many delivery vehicles leave our warehouse in Staffanstorp every day. However, we are also a knowledge company and on many occasions it has specifically been our knowledge that has been of greatest value to our customers. Our excellent understanding of production and logistics expertise is often the key to profitable business. Having an awareness of our surroundings also means that our knowledge bank is constantly being topped up and is something that we would be more than happy to share. Amongst other places, our functional cleaning products and other products are sold at: Ica, Clas Ohlson, Coop, Jula, Willys, Hemköp, Rusta, Dollarstore, BYGGmax, Netto, Gekås, ÖoB, Jem & Fix, Bo Ohlsson, Bauhaus, Eko, Hööks, Netonnet, Karlsson Varuhusen, Börjes and Citygross. All our activities are characterised by a rigorous philosophy when it comes to the environment and quality. This means that, wherever possible, we try to limit our environmental impact in all areas and that we always strive to maintain high quality. We keep up-to-date in relation to the latest legislation and all our partners comply with the same strict guidelines. We always recycle cardboard, wood and plastic, and, naturally, we have environmental and quality certification in accordance with ISO 14001 and ISO 9001. We were also one of the first companies in Sweden to comply with the new and considerably more stringent requirements for the Swan marking of microfibre products. The Swan mark is one of the world’s leading environmental marks and requires extensive environmental and climate commitments. When transporting goods, we primarily use rail transport and we continuously monitor our long-haul transport arrangements. Every year, we donate considerable sums of money to SOS Children’s Villages and we like to get involved in things that make a difference. Both to the environment and to people. For consumers, we are always clear in our recycling descriptions and we always try to promote green consumption. Rudi Kemfors arrived in the small community of Tomelilla in Southern Sweden in the 1930s. Here, he got a job working in a local factory making brushes and soon went on to become a very successful salesman. 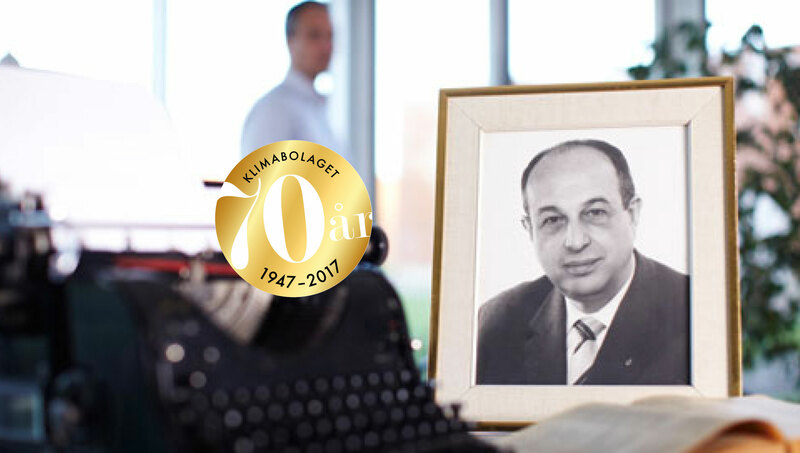 This provided him with a unique insight into the Swedish cleaning industry and in 1947 he decided to start his own company by the name of Klimabolaget. The first big seller came in 1950 in the form of a wooden washing-up brush. Other early successes were achieved with products such as brooms, buckets and bath brushes. Klimabolaget quickly established itself as an innovative force and many of these early products are still being sold today. Rudi Kemfors departed in 1964 and the management of the company was handed over to his son Gunnar. Gunnar led the company for over 40 years and continued to develop both products and networks. 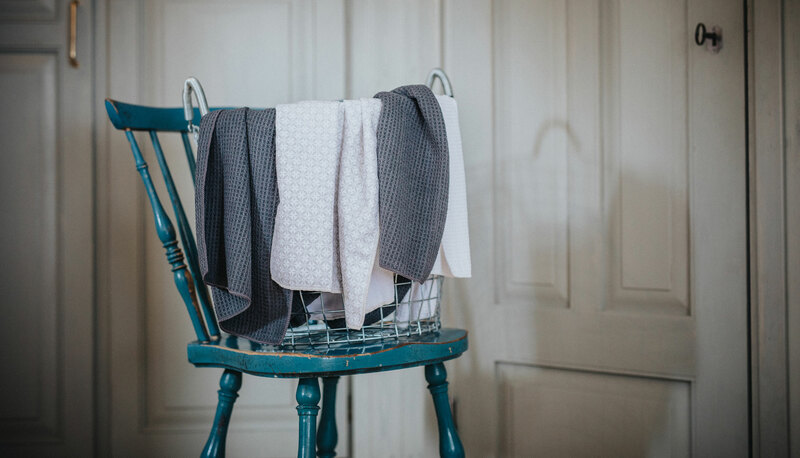 A plastic washing-up brush was the first environmentally friendly product and has since been followed up with numerous other successful products. The company was expanded at the end of the 1980s and the business is now owned and led by the third generation. The product range has been expanded, the market has grown and the innovative ethos has continued to give results. Consequently, the story of one man’s life’s work lives on.